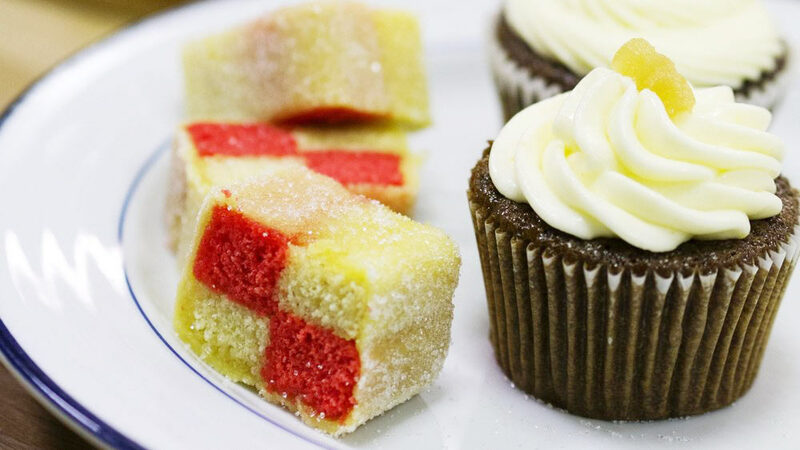 In celebration of The Great British Bake-off, we have our very own workshop to honour it, The Great British cake-off… baking without the pressure and the best bit is, you get to take ALL your goodies home with you! Level/ Suitable for: Beginners to intermediates. Perfect for those interested in baking and/ or eating cake! Skills/ techniques/ content covered: Basic science behind making and baking cakes, making a whisked sponge; melted sponge and creamed sponge, finishing techniques, raising agents, suggestions for adapting recipes and piping. Can be adapted for: Dairy-free diet (subject to two spaces being booked at the same time). Please inform us when placing your order online in ‘additional information’ if you would like the menu to be adapted for this. For any other special dietary requirements, please contact us before booking. Workshop Frequency: Once every 2-3 months. Already been to this workshop? You might also enjoy: Decadent Desserts; Magical Macarons; Patisserie Masterclass and The Baking Masterclass. What to bring: Tote bag (or similar). Feel free to bring along tupperware/ tins to package up your cakes. Packaging will also be available.